My favorite card from everyone’s favorite deck is here today to spread joy and love far and wide. This is a wonderful indicator of success and emotional fulfillment and unconditional love for humanity. When the Universe offers up Divine Intervention to keep your cup full to overflowing, be sure to share your success with others. ‘Tis the season for happy get togethers with loved ones. Enjoy every moment you are given. This entry was posted in Card of the Day, General Tarot, Readings, YouTube Videos. This entry was posted in Astro-Tarot, General Tarot, Love and Finance, Readings, YouTube Videos. December finds you facing forward, with both feet on the ground, off and running. Anything which previously felt as though it was holding you back has now begun to move, even if you do not know for certain where you are headed. You are using a practical approach with which to free yourself from any restrictions which were felt for so long. It is now clearer to see where your efforts would be best placed for optimum rewards. A twist of fate leads to a new beginning in at least one area; it is an exciting development indeed. You possess the clarity and the wisdom to place all of the details in order. Not only have you reclaimed your identity, you are taking back your power and claiming victory over some long-standing issues. The holiday season is full of more than mere celebrations; confusion over decisions leads to actual options before the New Moon at month’s end. Exercise patience and care with choices made at this time, considering Mercury will not be working in your favor this month and not everything may be as it appears. This, however, does not preclude you from moving forward; look at all of the choices before you in a realistic fashion and know that the Universe is aiding in this. Yes, you are being guided to where you need to be as this transitional phase continues. The Solstice ushers in a wave of happiness in spite of challenging situations which may be around at the time. It would appear that at least one wish will come your way regarding one of the challenges you have been facing. Overall, the month contains some very positive moments in spite of Mercury’s shenanigans. And don’t forget to check out your recorded Tarot Guidance by sign on Patreon! Aries, if you continually allow yourself to throw an emotional pity party over things which have been lost, you will never see the possibilities of what could actually be. A change in perspective is needed on your part; if you wish to persist in standing your ground in a defensive manner over your actions, it is likely at least one person will walk away. Hurts, betrayals and stresses from the past can get in the way of what you truly want. An important life decision may be necessary at this time, as you can not continue living in this way. There is no one fighting or resisting here other than you, and this continued hold out will not work in your favor for the long haul. There is a door you simply refuse to close, Taurus. The question is, by constantly knocking on it, will your wish be fulfilled, or will you be left broken-hearted? There is some sort of truth coming out this month with a great deal of honor attached. By all indications, the actual commitment you have been hoping for in your future may not arrive until March, but you will know your new beginning is on its way. Keep sending it out to the Universe and do not worry about the opinions of others. This month, you should at least feel you have arrived on the same page in a very important relationship. Gemini, there is no time for brooding, however unhappy you may be with the status quo. Rather than assuming a me-against-the-world stance, learn to be more flexible and be able to go with the flow. Clarity will come to you after the Full Moon, and you will have the wisdom you need to review who belongs in your life in the coming year, and who does not. You may find yourself reminded of many happy childhood memories involving our family, especially perhaps, a female figure who was a tremendous influence in shaping the person you are today. There is a situation which requires you to relinquish control; your time is too important for the continual sacrificing. Adopt a new perspective to take you into the New Year. The abundance you have been seeking feels restricted in some way, Cancer. It seems you would like to find more money to hold onto, but that in and of itself is a challenge as it seems to always be separating from you. 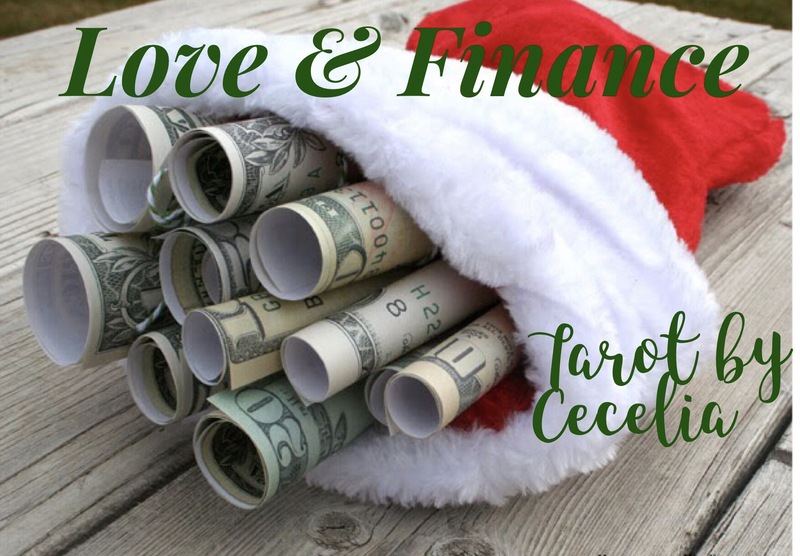 This month the Universe steps in to provide the boost you need to create financial security. At least one means of manifestation presents itself through Divine Intervention. This is the breakthrough for which you have been waiting. Increased income, a new job, or promotion can definitely help you to feel more grounded than you have felt in quite some time. Take back your power in December! Leo, this month wants you to deal with broken relationships, possibly with a female. The choice needs to be made to reconnect, although this is merely a transitional phase at the moment. This is a nurturing individual from your past, who only asks that you finally acknowledge all of the positives of the relationship. Share a trip down Memory Lane and be more generous of spirit rather than seeking to always sever things. Perhaps this month you can regain control with at least one relationship aspect, Virgo. If things were derailed for a bit, which may have left you feeling rather cheated, a new beginning may not have felt possible. However, when you look back at what you have survived, and the decisions which brought you to the place where you are now standing, you may realize how previous choices are your cross to bear. A new beginning is in sight, bringing with it radical change which puts you back in the driver’s seat as you prepare to enter 2017 and leave the past in your dust. Libra, December finds you trying to sift through the information coming your way, deciding between fact and fiction, as Mercury will enter shadow on December 1 and retrograde later in the month. You will be no stranger to the blessings of the Universe and maintain your determination to tackle all challenges which have faced you. They are gradually dissipating and you are sensing a recovery is possible. However, it is very important to maintain balance in all things. If stress were like a giant boulder, and you could blow it to smitherines, you may very well attempt it this month. Don’t overdo things; remember to save some stamina to take you into 2017. You are working on solidifying your new identity this month, Scorpio. This is the most grounded you have felt in quite some time, even despite the fact that Mercury will retrograde for the fourth time this year. Major stress is no longer an issue, rather you have found your firm base again, and lo and behold, your creativity makes a powerful comeback! Since the end of August, you have been diligently working on the details, not just of your new identity, but projects new and dear to you which require you to challenge your resourcefulness. No longer are you feeling held back and things are definitely beginning to balance out. The words moving on, or even moving, take on new meaning for you as you continue to focus on the things you need/want to do. Sagittarius, in spite of Saturn, you can truly count your blessings this month. Your workload and responsibilites, however, may be weighing you down and keeping you moving to beat the band. Work on everything and ignore nothing; this appears to be your best approach to keeping your priorities straight. You will find that multi-tasking is indeed your friend, and it will assist you in standing your ground. You may be able to locate a few close and trusted allies to assist you with your many chores; be sure to repay them with kindness. Things could prove to be a little stressful around the New and Full Moons as you strive to compete in the marketplace of life. Pay attention to wise counsel, as it would appear your own gut instincts may lead you astray. Until the Sun enters your sign later in the month, Capricorn, you may find yourself feeling emotionally and physically drained. Stamina could prove to be an issue during this time; pay close attention to your dietary habits as the holiday season is well underway and may be contributing to your lack of oomph. You will reach your sign, and the light-at-the-end-of-the tunnel; just let the Universe be your guide and show you the way. Clarity will return and you must be at the ready to put things in order. Mercury will be retrograding in your sign for the second time this year and will force you to go back and take care of any missed details in order to break out and achieve the balance you need to enact your vision. Aquarius, the progress you desire does not always happen at the speed with which you desire it. You’ve been trying to push your vision forward for a while now and it is becoming much clearer. However, Mercury will be retrograding and Mars will be leaving your sign and moving on into Pisces. You could experience a disappointment if something does not go the way you had hoped. Keep your hopes and dreams real for now and strive to maintain balance in your life, giving equal time to all priorities and not leaving out anyone or anything. You are moving toward some great successes, but you are simply not there yet. Do not worry yourself over it, or allow that mental restlessness to cause you to make an impulsive move which you may later regret. In December, you are realizing more and more each day, Pisces, that while you can not see exactly where you are going, you know that it is far better than where you have been. Things are looking up by the Solstice, especially since Mars will have entered your sign on the 19th. 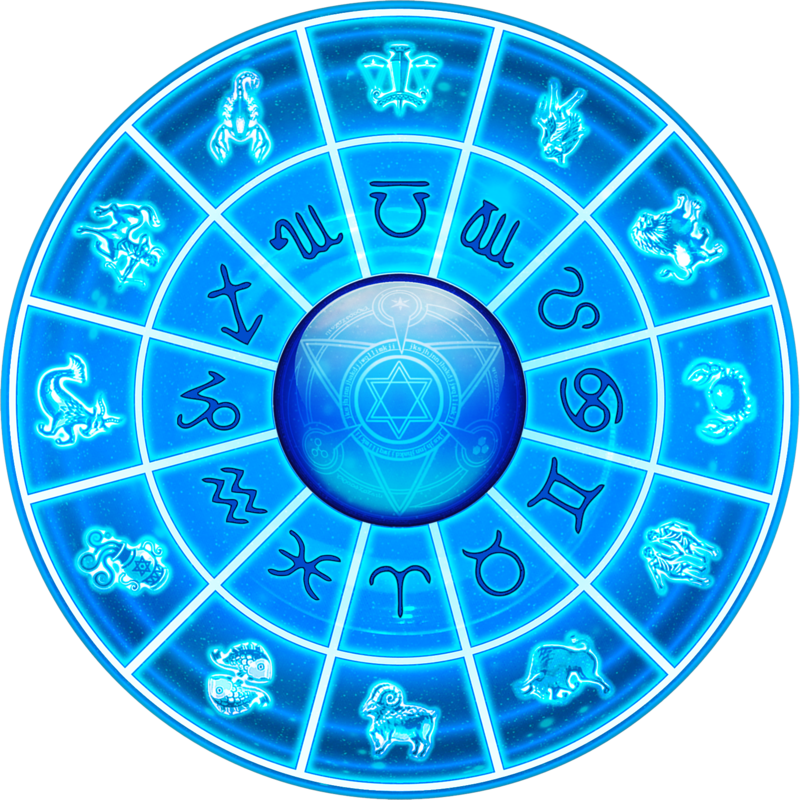 The excitement for your new beginning builds, and you may feel as though you need to proceed slowly due to Mercury retrograde. At this time, take a methodical approach and do not vary your routine. You should be realizing your transition is beginning to balance things out and gradually smooth over past disappointments. Do your best to keep your emotions level and know that every change which you need/want will not happen in a day. Be open to the possibilities. This entry was posted in Astro-Tarot, General Tarot, Readings, YouTube Videos and tagged Aquarius, Aries, Astro, Cancer, Capricorn, Gemini, Guidance, Leo, Libra, Path, Pisces, Reading, Sagittarius, Scorpio, Tarot, Taurus, Virgo. Across a clear, moonlit night, eight jewel-tipped wands of various colors shoot across the sky. A flame-haired witch grabs one and uses the momentum to propel her along at great speed over a black lake, towards her destination. Her dress is blue, suggesting that she is driven by intuition. Although she speeds above the dark lake, it is calm and flat – this, with the clear sky, indicates that nothing now stands in her way – she will arrive at her objective sooner than she thinks. This card suggests that all obstacles, such as those in the Seven of Wands, have been overcome, and this catapults you forward faster than you were expecting – your long journey is nearing its conclusion. This card also signifies travel, so make sure you’re prepared! This entry was posted in Deck Review, Featured Card of the Day, General Tarot and tagged 78 Tarot, 8 of Wands, Art, Nautical, Tarot. Some very pleasant energy is here for you today as you continue to ride the wave of the New Moon in Sagittarius. Life is beginning to balance itself out in such a way that, with each passing day you worry a little less about waiting for the other shoe to drop. If you have taken notice, in the last couple of weeks, things have been gearing up to move forward and you really haven’t had that backward motion which plagued you for so long. Your focus is such now that it is allowing you to keep things in check, so that no area of life winds up being so over-the-top that you cannot handle it. Indeed you seem to be perfecting the art of patience, but not in a way that is frustrating to you any longer, as you realize you are on your way towards your new life. 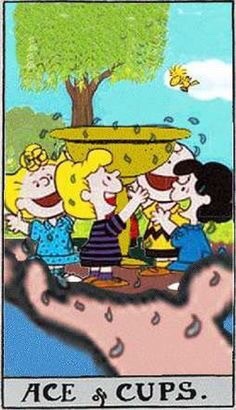 Also, keep in mind that it is the holiday season and this card serves as a reminder to live life in moderation in order to stay happy and healthy. Flanked by pillars of kep that slowly grow towards each other to form an archway, a merman swims with a family of seahorses close to him. 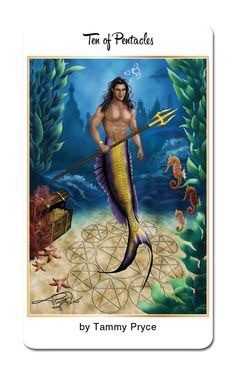 He is showing an open treasure ches, with ten pentacles beneath it, to them and a starfish family. His tail is a mix of purple and gold, symbolizing his wealth, and he wields a trident in his hand, illustratng his power. A vast, towering city sprawls behind him; he has built an empire he can share. This card symbolizes the fulfillment brought not only by wealth, but by security of mind. Your journey is complete, you have worked and toiled, and regardless of what happens to you now, you have created a legacy that cannot be taken away. This entry was posted in Card of the Day, Featured Card of the Day, General Tarot, Readings. New Moon blessings, everyone. Today is our annual New Moon in Sagittarius and it puts us at the beginning of a transitional phase. What lies ahead? At long last you may finally be feeling as though you have turned your back on the past and can begin to look toward the future. Your destination is still off in the distance but there is much to do along the way to be prepared for the new life which awaits you. The year may be winding down, but life itself is actually gearing up with some big changes on the horizon. Will they arrive today? No. But now, after everything you have been through you are aware of the possibilities of change, where before you may have found it all to be totally impossible. Keep a weather eye to the horizon, and know that soon your ship will be coming in and ready to whisk you off on a new adventure.